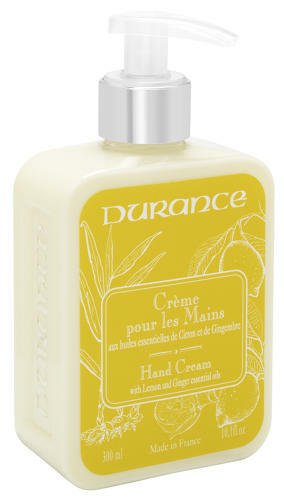 LEMON & GINGER HAND LOTION - Made from plant oils, Durance’s hand cream protects and nourishes dry and damaged hands. With Cotton extract, it swathes you in gentleness. Infused with the zesty scent of hand picked lemons and fresh ginger.